BVNC Inc Board of Governance . 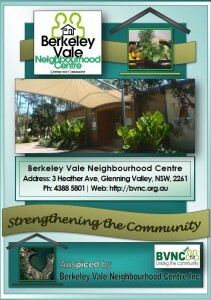 The Berkeley Vale Neighbourhood Centre Brochure. 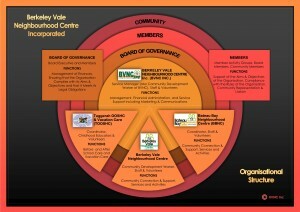 Click on the thumbnail at right for a copy of the Berkeley Vale Neighbourhood Centre Brochure. 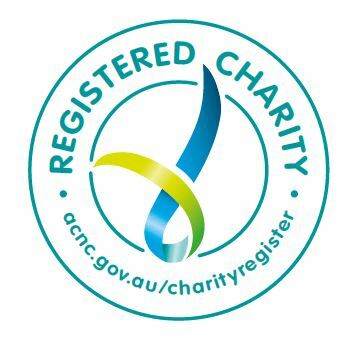 The Brochure may be useful for people who are new to the area, who are referring people looking for assistance, services or neighbourhood activities, or for people who are just curious about what we do. It can be read on screen, or printed on two sides of A4 paper, with a middle fold to make a booklet.